Visions is sort of grand. Lol. 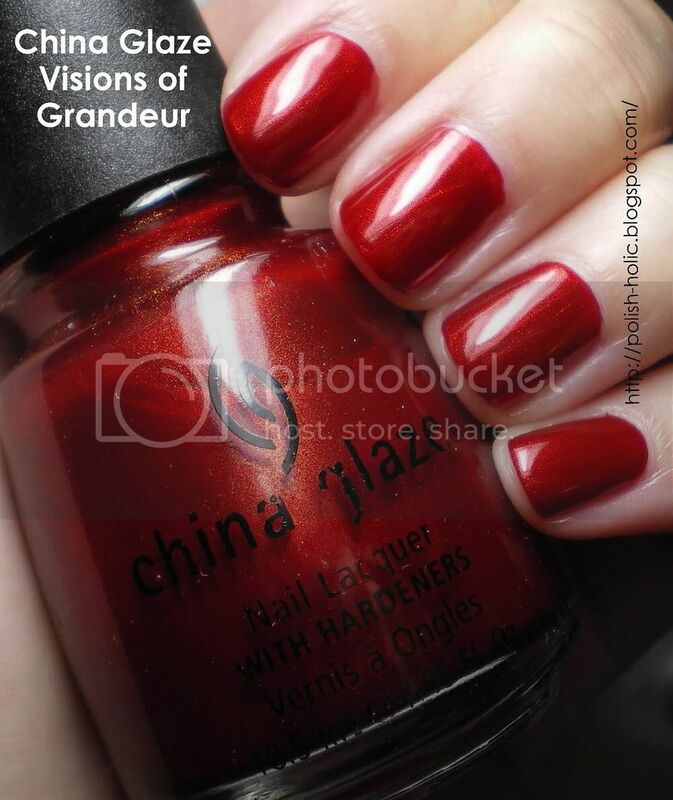 It's this vibrant red with gold shimmer. So nice. In lower light it has an almost autumn red feeling to it. You know that red. The brownish bricky red. The type of red that makes you want to sit down to a movie wrapped in a snuggly blanket. Oh fall is in the air, my loves. If you can't tell, I love autumn. Two coats with topcoat. Non-B3F formula. Goes on sheer at the first coat, but covers nicely on the second. No application issues. 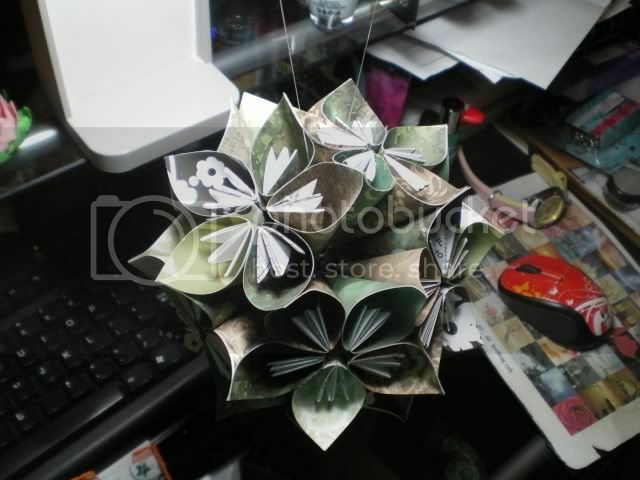 Pic of the moment: Here's another flower ball I made. This was for work. So I tried to make it camouflage colours. And I actually used Canadian Armed Forces camouflage pattern, called CADPAT. I used both arid and temperate patterns and then some randoms. Oooh! Love the color and am totally amazed with the flower ball!!! Wish I could make one and hang it in my office! Let me try and find you a tutorial. I know there's one kicking around here.